Hi LOR. Will we see more motion effects in future S5 releases? I pretty much exhausted the selection available. I find it hard to believe that you have "exhausted the selection availble" 🤓😲 lol. There hasn't been anything said in awhile about new motion effects for S5, I think I remember it being said we would be able to create and share our own motion effects. That was very early on in the beta of S5. My guess is that LOR has been busy polishing and creating documentation for S5. Good Question though. As far as creating effects for S5 I gave you some thoughts in your other thread. I asked the same question a while back and Matt said that we will see future effects added but for now documentation and a few other things were top on the list. I would like to be able to color palette the Fire effect and or a sound level spectrum option..
On the fire effect, what would be the difference between using the existing "Hue Shift" control vs. using a color palette? What are you looking to achieve? When you say "sound level spectrum option", are you talking about a new effect like this? 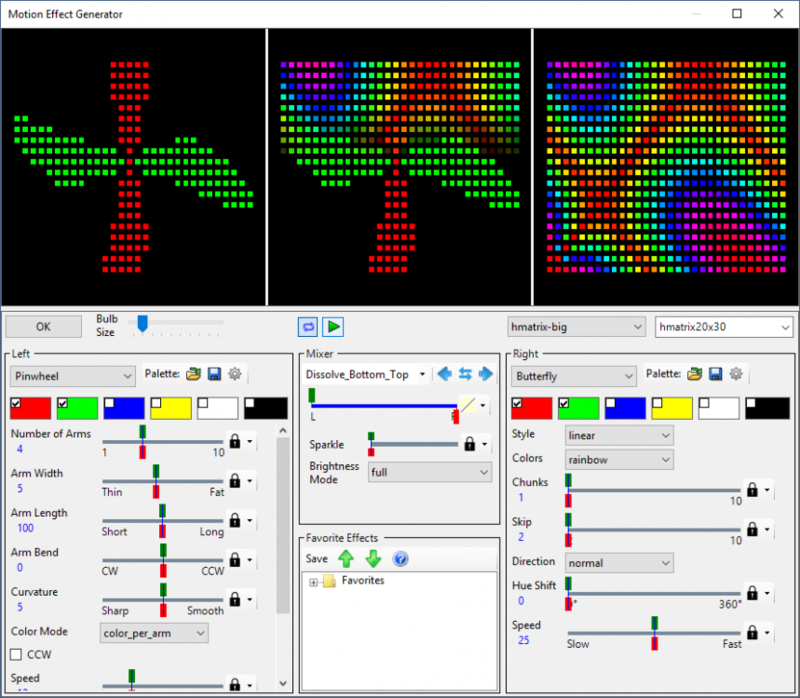 For the fire hue shift can give some colors but lets say i wanted to do Red to White or something in the or Red to Green, I like the blue in the Hue shift but just thinking about more color options. For the Sound level initial I was thinking following more "SPL" of the audio track put this on a column or whole display that would pulse up down/Left right with the "SPL" level. I have been able to achieve something similar with the fire effect by choosing height adjustment with the Audio wave form but it's quite the same. 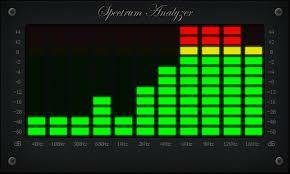 Having a total sound spectrum would be cool as well being able to put that on a grid I am sure people would like. I'm throwing my support behind that sound level spectrum option. I tried creating a similar effect by creating gif files with jumping vertical bars that I varied by color and speed depending on sequence beat. Based on how often I use some of these variations, I predict that your idea, represented by the image you posted, would be very popular.